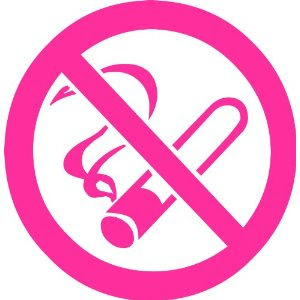 An announcement to all the people of Mandaluyong and visitors of this city, starting tomorrow (March 15, 2012), smoking in public places will be prohibited. Whoever is found guilty will have to pay a fine of P1000 for the first offense. Just heard this news today directly from a city government employee with a megaphone, going around the Mandaluyong, informing the public about the ordinance. I like this news a lot. I am totally against smoking esp. those who do not care about other people when shamelessly smoking in a public place. I hope that the Mandaluyong City government will be able to implement this rule very well. Now where will smokers smoke at? Why don't they ban importation and manufacturing of Tobacco in the PHILIPPINES? this is another way to raise funds in the City. Pagkaka perahan nanaman nila yun mga ordinaryong tao na maliit ang mga sahod. bakit di nila HULIIN yung mga nagbebenta at nag mamanufacture nito? yun root cause dapat ang sugpuin ndi yun mga taong maliliit. WHY DON'T THEY BAN THE IMPORTATION AND MANUFACTURING OF TOBACCO IN THE PHILIPPINES? THIS IS JUST ANOTHER FUND RAISING FOR THE CITY AND THE VICTIM WILL BE THE PEOPLE WHO EARNS A LITTLE. THEY SHOULD STOP THE ROOT CAUSE OF THE PROBLEM WHICH IS THE BIG COMPANIES THAT MANUFACTURES AND DISTRIBUTES THIS AND NOT ON THE PEOPLE. this is nice. sana sa lahat na, buong pinas! This rule is good for everybody. I wonder if they can implement this very well! But that P1000 fine will surely make everyone disciplined.